Happy Monday guys, how's it going? It's such a dreary day in Jersey, rain nonstop since yesterday morning. And if there's one thing I hate it's the rain. I get such aches all over my body, down to my bones! Speaking of rain and water... I have a gorgeous thermal to share with you guys named Splish Splash. How ironic is that? Haha. Splish Splash is from CDB Lacquer and is the LE polish for the month of June. 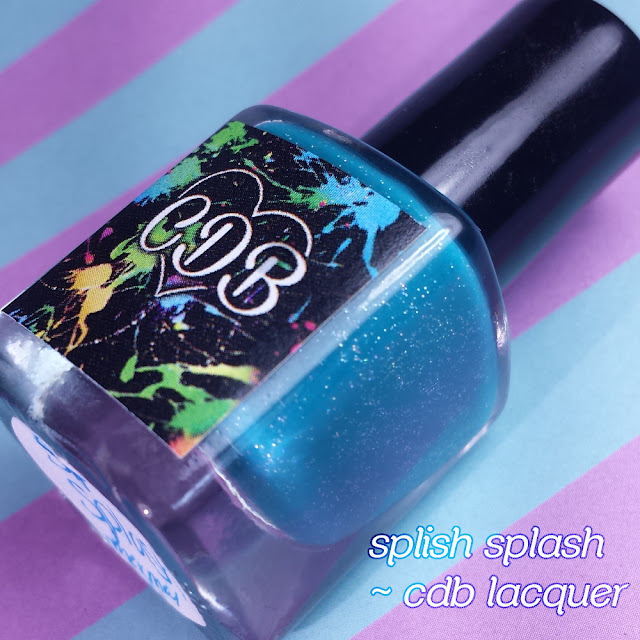 Splish Splash by CDB Lacquer is now available for purchase while supplies last. This is a limited edition polish, which means it is only sold in full size and will not be restocked. Splish Splash is a dark teal to light aqua thermal with a splash of scattered holo. Doesn't it look almost squishy? For some reason I was expecting a much more sheer polish, but was pleasantly surprised with how opaque it was. The formula and consistency were great, not too thin or too thick. It self-leveled really well and gave me no issues with the application. The transition in colors was effortless and very distinguished, I love it! Swatched here in two coats and sealed with Seche Vite topcoat. If you're a fan of thermals, like I am, then you definitely need to add this beauty in your collection. This polish just has so many of my personal favorite elements: thermal, teal, and holo. It's hard not to be a fan of it. Both shades of this thermal are quite pretty! I'm really hit or miss with thermals since I'm usually annoyed when the shift stops and I'm left with one colour over time, but I don't think you could go wrong with this one. At least you should be guaranteed a pretty shade of blue! I especially love the aqua version! Thank you for the beautiful swatches as well as review :) glad you enjoyed it! I love the color of this at its warm state. Stunning swatch! I always love your swatches. I like how the colorshift is slightly more subtle than most thermals, and that sparkle is gorgeous! Wow, this is beautiful! I love both colors and I like the sparkle in it! Both colours are just stunning...My kinda colours! There must be a theme going on today as I have rain too, as well as other blog I've just read! So pretty - I love the darker shade a lot! I have just found thermals (I avoided them for ages) and love this!! What a beautiful, squishy polish! I love both colours too! I love thermals but have started only buying ones where I love the cold stage just as is. I LOVE the subtle of this shift, it's absolutely perfect. I only have one CDB Lacquer, an older one named 10/6 because that's my birthday. I may need to add some more! I did not know the brand yet, but now I have to have a look ! wow, what a gorgeous teal shade, love it. I adore thermals and this color is perfection! I love the color change in this one! This is so pretty. I need to break out my thermals. I love this polish! So so pretty! Lovely!!! This is something worth checking out. You are right, its hard not to be a fan of it. This is beautiful! I love both colors and the addition of holo is awesome! Oooh I just love the thermal shift of this one! And I also appreciate that it is one that I love in its warm state (things tend to stay in the "warm state" all the time on me). Oh so pretty. 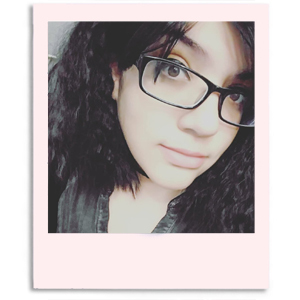 I loved your pics so much. It reminds me of the ocean..it's super pretty! This is really stunning. So many of my favorite things all in one!